Ignoring or delaying estate planning for your small business is not financially prudent. As a successful business owner who already has the next generation involved in the company, you must take charge of the future so that the fruit of your hard work can continue on. More important, clearly writing down your desires will help keep your family from bickering — a likely result if you just leave the business’s future to chance. 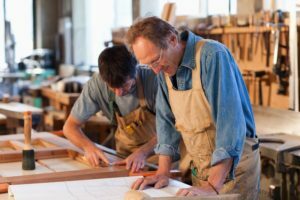 Give us a call today, so we can craft an estate plan that will allow your business to continue to thrive for generations to come.